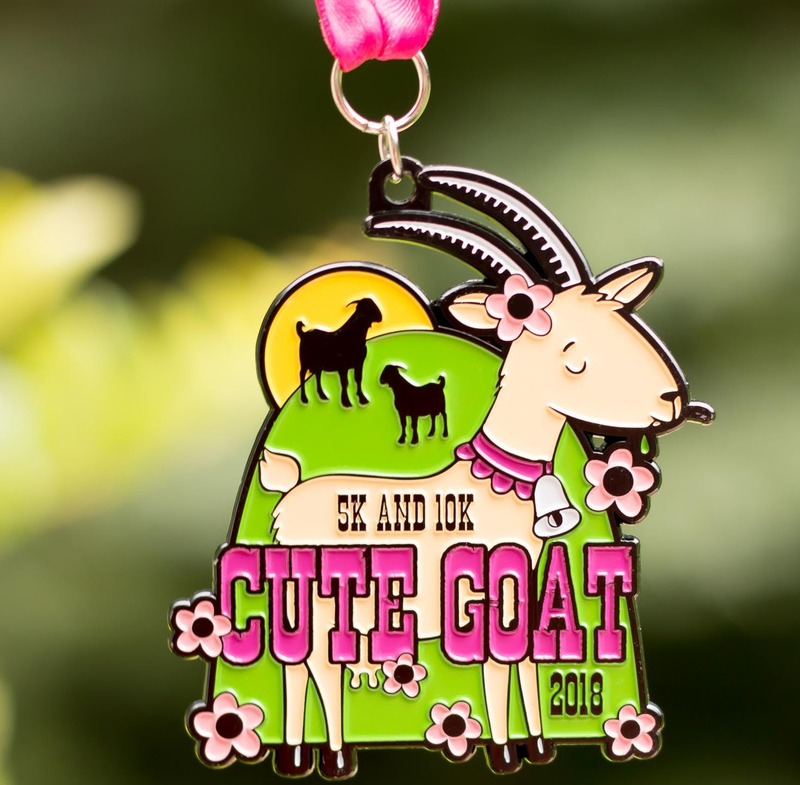 CUTE GOAT 5K & 10K - This is from our 2018 Virtual Race! The medal says 2018. Complete your race anytime in 2019! What: This is a 5K and 10K virtual run (or walk) to celebrate CUTE GOATS. Why: Because this is our way celebrating CUTE GOATS and helping families in need. Cost: The price is $18 (Now only $10!) and that includes your medal, bib and shipping. Plus, at least 15% of every entry will be donated to Lifting Hands International: Gather for Goats. *We are in no way affiliated with this charity, we like to choose a different charity for each of our races and are happy to raise funds for them.